Norton Lindsey enjoyed a memorable day as their two newly formed under-seven teams, Juniors and Colts, contested the Central Warwickshire under-seven Winter Cup final. The Juniors came out with a 3-0 win thanks to a Tommy Cole double and a Liam Carey strike, with Colts keeper Tommy Barr pulling off a string of fine saves to keep his side in the game. However, the outcome could have been so different had Juniors’ keeper Fin Venn not pulled off a fine double stop to keep out a penalty at 2-0. 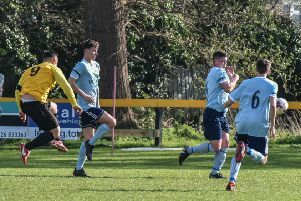 With the season drawing to a close, the Juniors have one match to play, with Cadbury Athletic the opponents in the Spring Cup final on April 26. Norton Lindsey are holding juniors trials at the Kingsley Playing Fields on Sandy Lane (CV32 6RD) on Tuesday May 12, ahead of next season’s campaign. The club are looking for players at under-eight, under-nine, under-ten, under-11, under-12 and under-14 level. The trials run from 6pm to 7.30pm. For further information, contact Des Davies on 498285.